A theme we have been emphasizing in our missives about the pet industry has been the concept of change. Industries evolve for a variety of reasons — innovation, regulation, exogenic shock, mergers/acquisitions, among others. Our view is that the pet industry is changing for another reason — slower growth. The key drivers of pet industry performance over the past five years — the humanization of pets and the pet food upgrade cycle — appear to have peaked and, as a result, we are seeing divergent performance among industry participants as new core themes take hold; innovators continue to take share from incumbents. A logical reaction to this state of play is an increase in deal velocity — incumbents buy innovators, investors fund innovators to accelerate their existing or potential advantage, and large companies consolidate to drive economies of scale. Notably that is exactly what we are seeing and some of those deals could have far reaching implications. The case of Mars, Inc. buying the Proctor & Gamble pet portfolio is an example of this reality in practice. When Mars acquired 80% of P&G’s pet food portfolio for $2.9 billion, it should have come as no surprise P&G was largely exiting the pet space. P&G management had been actively seeking to pair its exposure to non-core lines of business and a buyer for their pet brands has been sought for several years. That Mars was on the other side of the transaction, was not a real surprise. After all, only a small handful of companies in the space could have taken a deal of this size down, Mars being one of them. However, Mars has been increasingly active in its food business overseas at the expense of its pet portfolio so many discounted the possibility. On its face, the deal appears to be attractive for Mars. 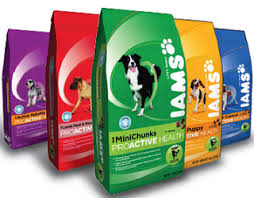 Among the acquired brands, Iams fits nicely into their merchandise matrix, and mitigates the risk they would fall to the number three player in the most important pet market should Big Heart Brands have scooped up the assets. Eukanuba is largely redundant and Natura is a wild card given its recent recalls. What we suspect happened was Mars had sought to buy Iams for some time, and eventually the sides agreed to a deal where P&G threw in more assets (Eukanuba and Natura) and Mars, in turn, agreed to throw in more money. The $1.6 billion portfolio sold for 2.25x revenue after considering the retention of ownership. While the deal backdrop consists of some mildly compelling drama, more interesting is what it all could mean in terms of change. Of significance, Mars is largely focused on the mass channel, and logic would dictate that they would seek to move Natura into mass at a lower price point. Given the recalls that is where Natura might have some residual value. That scenario could have significant implications for pet specialty assuming a Natura launch is a prelude to other natural brands entering the FDM channel under their flagship brand. The would be a big win for consumers — premium natural pet food at a mass price. This would add additional fuel to the notion that Blue Buffalo, if public, would pursue this very strategy. Further, Big Heart Brands, through its Natural Balance transaction, would be well situated to join this movement despite the promise to keep the brand in channel. The net result is the potential for both share and channel shift but also pet food deflation. Falling food prices would have significant implications for major pet specialty and independents. On a price per pound basis, premium food trades at 2x-3x price premium and a 2x-2.5x profit premium. Price compression would therefore have a significant impact on margin for pet specialty players. We concede that the scenario above is speculative, but one that increasingly has the potential to be realized in whole or in part. Further, it is one that we would not have given much consideration 12 months ago that everyone should now take seriously. With the benefit of hindsight, we know the pet industry produced another solid year for performance in 2013, generating growth of 4.5%. Industry revenues climbed to $55.7 billion, with growth exceeding forecast by 0.2%. Revenues benefited from inflation of 1.3%, including food price inflation of 1.1%. Growth was relatively uniform across the core segments with services (+5.0%) and veterinary care (+4.9%) leading the way. While growth is projected to accelerate to 5.0% in 2014, we expect companies in the space to experience more widely divergent fates. Our thesis is that the industry is undergoing structural changes that will result in stronger performance from the leaders and slower performance from the laggards. Structural change is being driven by slower growth in the key drivers of performance over the past five years. On the retail side, we are seeing smaller retail chains ascend at the expense of large pet specialty players. Notably, PetSmart same-store-sales slowed to 2.0% in 2H2013. In contrast, PetSmart produced, on average, quarterly same-store-sales growth of 5.2% from fiscal 2010 through 2Q2013. Further, among top 25 pet retailers, 55% of box growth came outside of Petco/PetSmart in 2013, up from 41% in 2011. Finally, ecommerce growth in pet products is expected to accelerate from 35% in 2013 to 38% in 2014 as online pet venues both consolidate and proliferate. 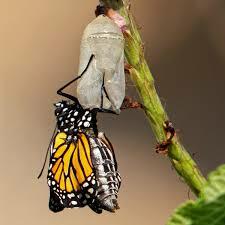 Product manufacturers are also experiencing the impetus for change. Looking for new sources of growth they are pursuing new channel strategies. Big Heart Brands’ acquisition of Natural Balance Pet Foods and Nestle Purina PetCare’s acquisition of Zuke’s underscore this theme. Notably, the number of companies with pet specialty distribution that exhibited at Expo West (meaning they are looking for Whole Foods distribution) doubled in 2014. Additionally, the pending Blue Buffalo initial public offering is, in our view, a prelude for the brands entry to mass. Collectively, these companies will blur the lines between sales channels for pet consumers. Prelude for Sale or a Move to Mass? In March, news leaked that Blue Buffalo Company Ltd. had selected underwriters for an anticipated 2014 initial public offering. When the company took a leveraged dividend in 2012, we predicted a sale or filing within three years. Blue generated $600 million in sales in 2013 and EBITDA margins are said to be nearing 20%. The company is approaching the size of The Nutro Company when it was acquired by Mars, Inc. While Blue has no lack of suitors, the purported asking price of $1.5 – $2.0 billion would be hard for even the largest companies to swallow in an environment where product recalls can rapidly erode brand equity. A listing would place a public sale price on the business, which may facilitate a transaction, but we think the more likely outcome is that Blue is headed to mass. The growth requirements for a public company are more than the pet specialty channel alone can support. If the brand jumps to FDM under its existing label, which we think is possible, you can add another brick in the wall of change. Natural Leads Grocery Resurgence. Grocery has been steadily losing market share to pet specialty post recession. Simply put, FDM has been out-thought and out-merchandised. Lacking access to key independent brands coupled with limited selection depth, consumers have migrated their spend elsewhere. Grocery buyers and store planners did not recognize the strategic value in the pet aisle. However, this is changing. Major chains such as Kroger and Whole Foods have or are set to launch large pet assortments made up of staple, emerging, and house brands system-wide. Increasingly, brands are being built for the grocery channel or seeking to make the jump. Notably, the number of pet consumables companies exhibiting at Expo West doubled in 2014. Given its size and a lack of compelling incumbent brands, the pull of the FDM channel is strong. As the channel regains momentum outside of the natural and gourmet segments, it has the potential to change where consumers shop for premium and how brands are built. Change Will Drive Deals. As manufacturers, retailers, distributors, and brands seek to align themselves with emerging realities, we expect to see increased deal activity. Deal velocity in sectors such as consumables should accelerate both acquisitions and private placements. Specialty retail, a sector whose transaction volume has been rather muted, should see a resurgence as leading micro-box and online platforms enjoy increased capital formation to expand their footprint or are acquired by mass and major pet specialty retailers seeking to expand omni-channel capabilities. For the most attractive properties, valuations will increase due to broader and deeper interest from buyers and investors. Contact me for a copy for my report.